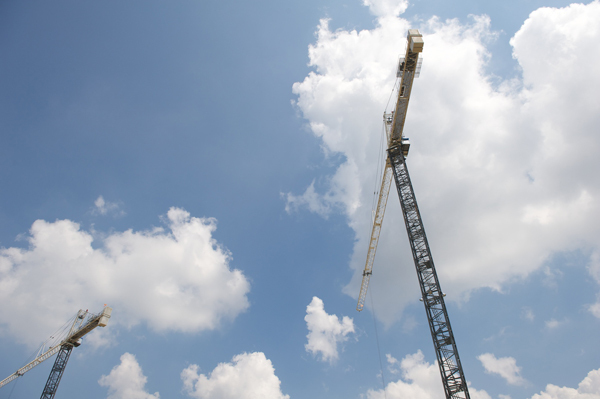 These German-made cranes include anti-collision technology for jobsite safety. When you’re building a 7-story medical tower, communications among construction crew members are vital, especially when you’re at the top of two tower cranes. 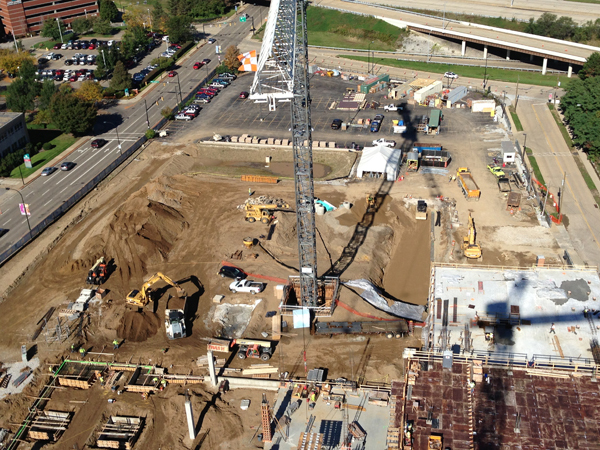 At 249 and 209 feet tall, these cranes provide full coverage of Akron Children’s medical building construction site. But they also create a potential collision hazard called crane interference, putting workers and property on the ground at risk. There are two members of the construction team on each crane – an operator, who sits in a seat at the top, and an oiler, who performs maintenance. The operators need to communicate with each other and the oilers at all times to avoid potential interference. The possibility for miscommunication occurs when operators are busy with other aspects of their job, like monitoring load capacity and moving loads. 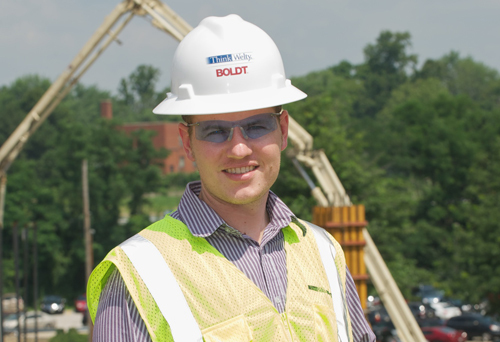 “In keeping with the continuous improvement mindset of the project, we saw an opportunity to spur positive change on both our jobsite and in the industry,” Becks said. All Tower Cranes, the company that provided the two German-made cranes, learned of anti-collision technology being used in Europe that wasn’t yet in use in the U.S. Convinced that this technology was something that would positively impact not only the Akron Children’s project, but also the construction industry, All Tower Cranes installed the device free of charge. The installation is the first of its kind in the United States. On Aug. 13, a French technician and two mechanics from All Tower Cranes performed the installation. All that was required was the addition of a sensor on each crane, which ties in with those already on the cranes to monitor weight and movement. The new sensors, which communicate wirelessly in real-time, provide a 360-degree view of the other crane’s location, which the operator can see on a monitor. The device senses potential collisions, overrides the operator controls to stop both cranes, and counter-swings to compensate for momentum. The crane technology has great potential to improve jobsite safety, which is why Becks was so excited to get it. “We not only want to drive innovation, but we want to help the rest of the construction industry,” he said.